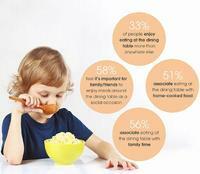 The latest survey into Brits’ eating habits has revealed an ambivalent relationship with meals and nutrition. 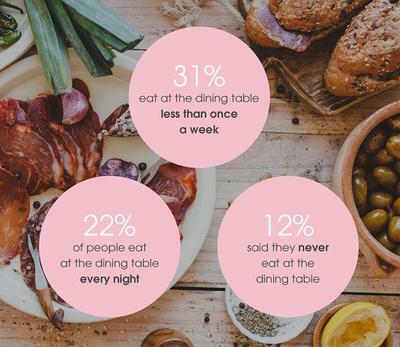 When asked where they enjoyed eating the most, one in three respondents chose the dinner table (top preference). 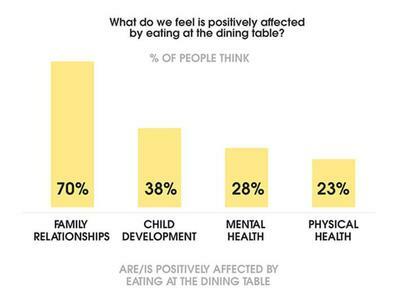 70% even went to argue that family relationships are positively affected when eating around the dining table, as are a child’s development (38%) and general mental health (28%). However, what works in theory does not always translate in practice. 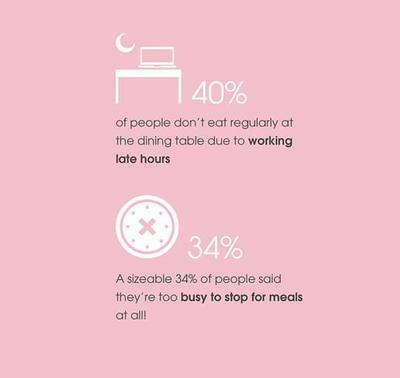 The survey of more than 2,000 UK residents, commissioned by furniture retailer Furniture Village, highlighted that despite best intentions, reality differs from theory. Even when they acknowledged the benefits of eating around the dinner table, when asked why they didn’t do so every day, the most popular choice was watching TV while they ate (41%). 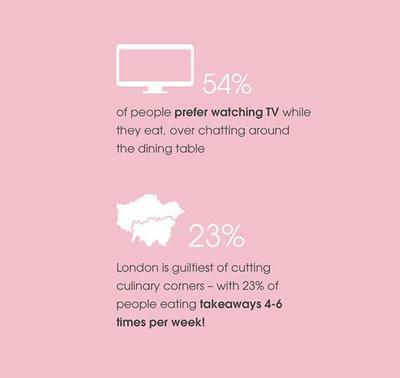 In fact, 54% of respondents admitted the preference for watching TV over conversations to be the top reason they don’t eat regularly at the dining table, followed by time spent on phones and technology (42%) and late working hours. The survey findings also point to food choices being impacted. 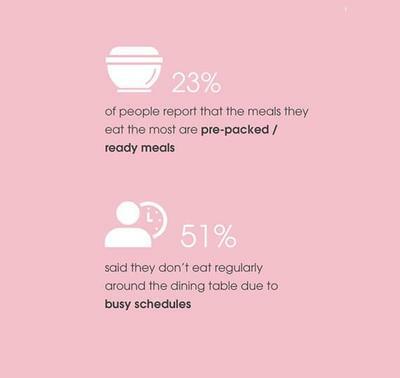 Despite almost three in four (73%) Brits stating they mostly eat meals cooked at home from fresh ingredients, a considerable 30% admit to ordering takeaways at least once a week, with one in ten (9%) choosing them over homecooked meals at least four times a week.